Published Jun 3, 2015; last updated Apr 4, 2019. 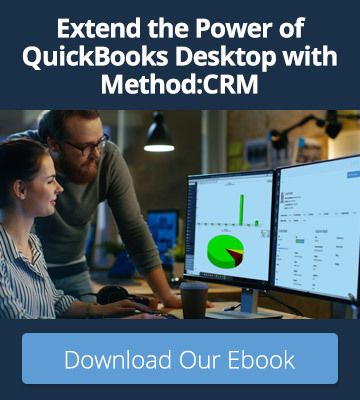 A quick backstory: once upon a time, Method was known solely for its flagship CRM — a customer relationship management system that integrates seamlessly with QuickBooks. But that changed in 2014 when the Method team won Intuit’s QuickBooks Connect Hackathon with an app designed for nonprofits. 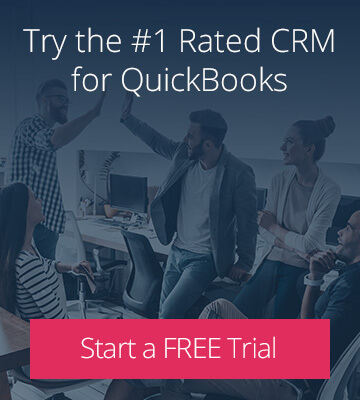 You see, we knew that nonprofits could benefit from connecting their contact management and their accounting. But we also knew that nonprofits have unique needs that weren’t addressed by our existing CRM. So we took our winning idea and ran with it. After surveying hundreds of small charitable organizations, collaborating with nonprofit accountants, and executing a successful beta, we launched Method:Donor in 2015. Four years later, it’s still going strong, and we love hearing how it helps nonprofits work more efficiently. If you’re in the market for donor management software, here’s an overview of what Method offers. What is Method:Donor and how can it help my nonprofit? If you work at a small nonprofit, your donor and donation data is likely scattered across email accounts and spreadsheets. You’re probably also spending a large portion of your day just trying to keep up with administrative work and reporting. 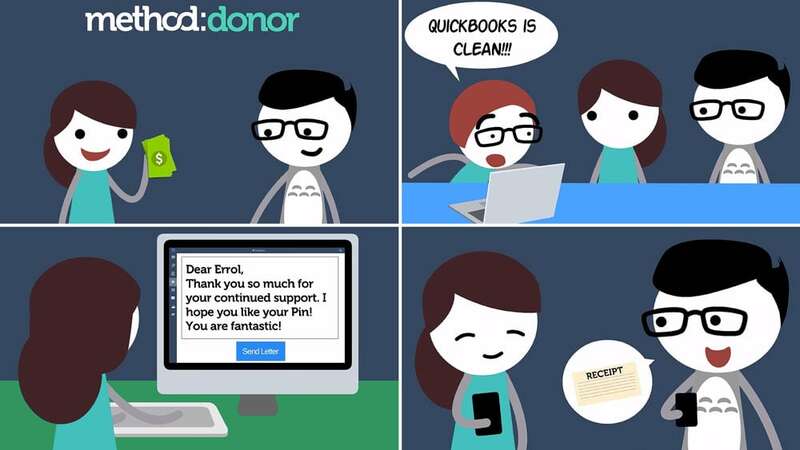 Enter the solution: mobile-friendly donor management software for nonprofits using QuickBooks. With Method:Donor, you can organize all your donors, follow-ups, and donation history in one place and access them anytime, on any device. This allows you to efficiently carry out fundraising best practices, including personalized thank-you letters, timely receipting, and regular follow-ups. 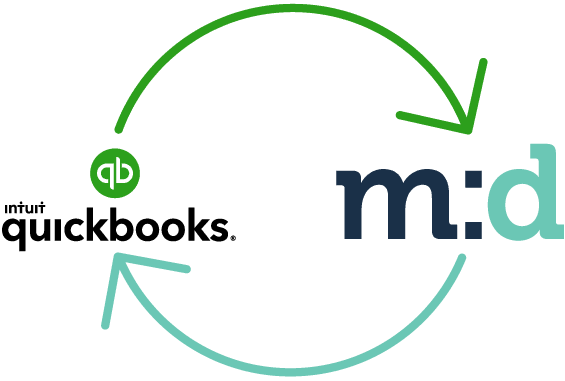 Method also has a two-way, real-time integration with all versions of QuickBooks. This means you can enter donations in Method and they will automatically sync to QuickBooks, eliminating the need for double data entry. 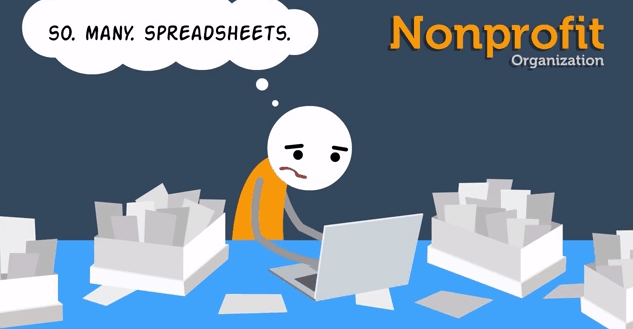 Your accountant will love this! Plus, with complete and accurate data in both Method and QuickBooks, reporting will no longer take hours each month. Method:Donor is also 100% customizable, allowing you to streamline workflows unique to your nonprofit. Let’s say you have a new volunteer starting today – welcome, Betty! You’re busy with an upcoming event, so you’d like Betty to enter a stack of checks and send tax receipts. 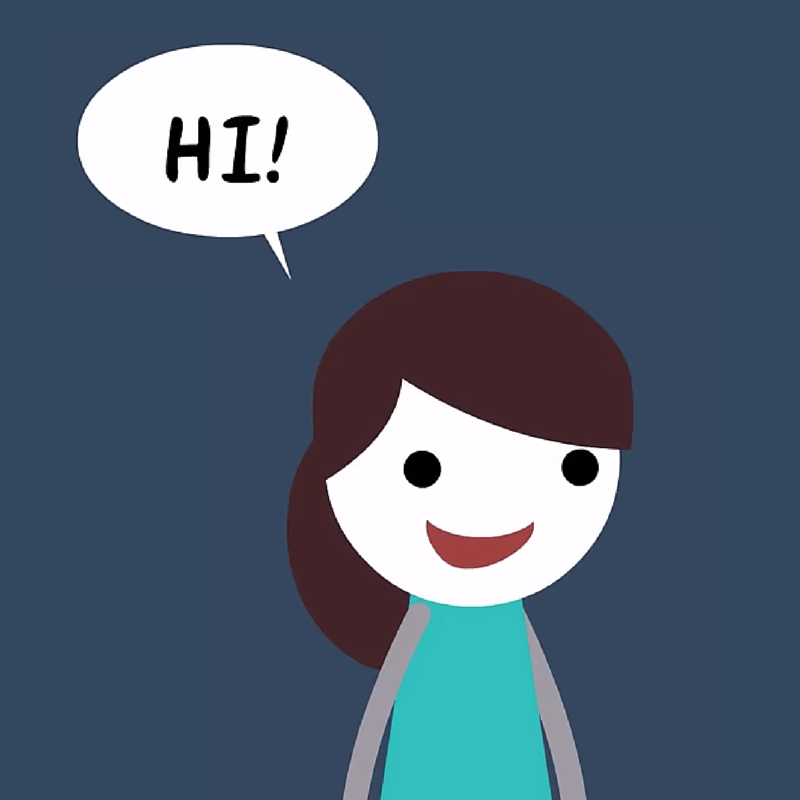 Luckily, Method:Donor’s simple user interface is so intuitive, your new volunteer can get going within minutes — no training necessary! Because Errol is a first-time donor to your organization, Betty quickly enters his contact info into the donor management software. Betty then enters the donation and splits it between two of the organization’s programs, as requested in Errol’s letter. Behind the scenes, Errol’s contact details and donation automatically transfer over to QuickBooks (just the way your accountant likes it!). With one click, Betty sends Errol a personalized ‘thank-you’ email and tax receipt directly from Method. Lastly, she schedules a reminder in Method to follow up with Errol in two weeks to start building a long-term relationship. And there you have it. With Method:Donor, your team regains hours each week and you can cultivate stronger relationships with your community of donors. Most importantly, you’re spending less time on data entry and “pushing paper” and more time on the work that matters most.